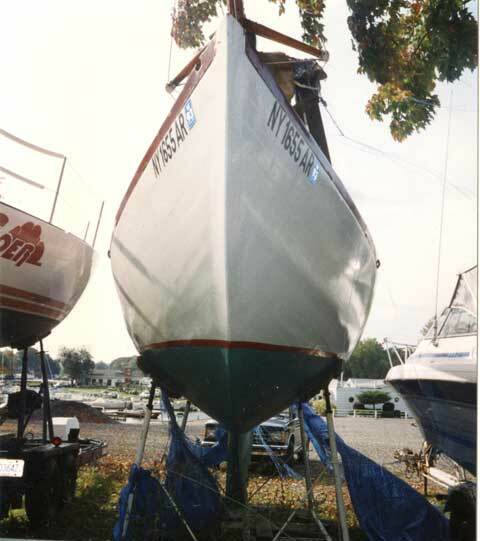 I have owned this sailboat for twenty years. She has had an easy life since a rebuild in the late 1980s. 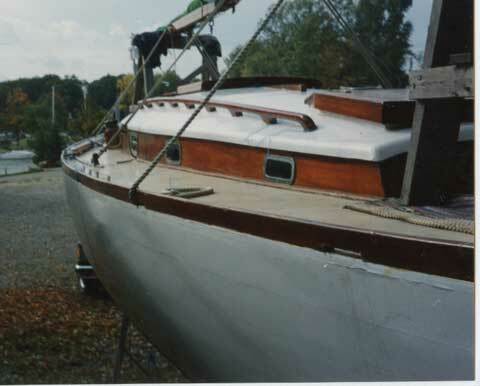 I bought her in 1992 and sailed a few summers on Lake Ontario, but time and commitments has kept me from getting her back in the water. She has been in indoor storage for the vast majority of the past twenty years. Sails are old dacron. They are serviceable, but wouldn't be competitive. 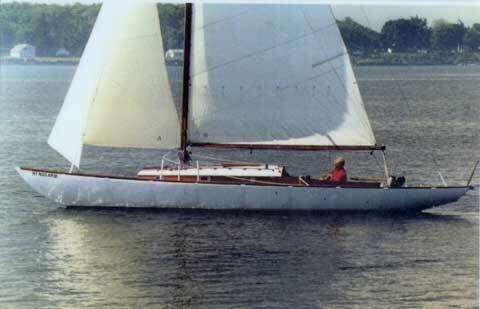 Her PHRF rating back in the 90s was 210, and I had some fun racing. I have two mains, I believe 2 125% jibs, a storm jib, and a spinnaker. 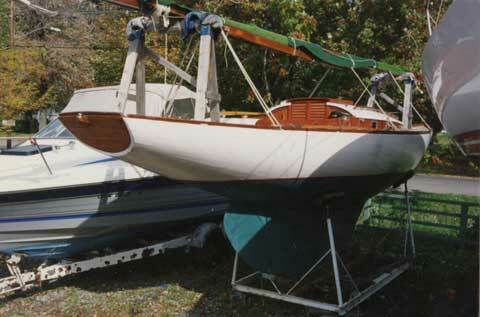 The boat was altered for an outboard well, and has a British Seagull 5hp that fits. Her overall condition is good. She could be sailed right after launch because the bottom is very tight. The only items of concern is a broken oak jumper strut that was broken after being hit by another boat in storage. Also, a piece of the aft toe-rail is broken from another incident in storage. All could be fixed rather quickly. She is on a cradle that is attached to a double axle trailer for local transport, but the trailer is not registered and has no lights. It could be made to carry her over the road if registered as a homebuilt trailer and lighting added. 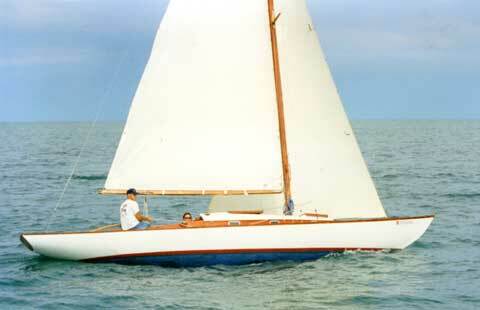 Knarrs are raced extensively in San Francisco, but this boat is an American Knarr and differs from those by having a larger rig and longer cabin top. The hull itself is identical to the San Francisco Knarrs. She is sitting undercover at the moment in Oak Orchard, NY. Located on Lake Ontario geographically between the cities of Rochester and Buffalo on the shore of Lake Ontario. Please email me for any information.